Romanian products are in a brisk rise on European and international markets, the most recent example in this direction being the European Council on Tourism and Trade decision to award the INTERNATIONAL QUALITY AWARD for Gentlemen`s Corner, the no.1 creator of fashion and elegance in Romania. GENTLEMEN`S CORNER Team led by Mr. Sorin Preda is attending a photo opportunity with INTERNATIONAL QUALITY AWARD proudly presenting it for media as a clear proof a successful enterprise. 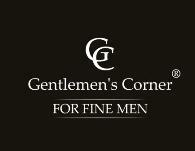 Following this international recognition GENTLEMEN`S CORNER establishes himself as the only Romanian company added to a selective list of luxury products representative for European quality and tradition encompassing the most cherished perfumes created by Salvador Dali – DALI HAUTE PARFUMERIE, French champagne or famous Armagnac and from today the elegant and trendy fashion carved by GENTLEMEN`S CORNER creators. From the start Mr. Sorin Preda, GENTLEMEN`S CORNER manager envisioned as his primary target: to recreate the unique charm of the classic fashion on the Romanian market and to provoke with new and daring collections and to build a team of elegance and fashion advisers in order to imbue the Romanian fashion with the tendencies in men`s fashion while keeping to the letter the tailoring golden rules. 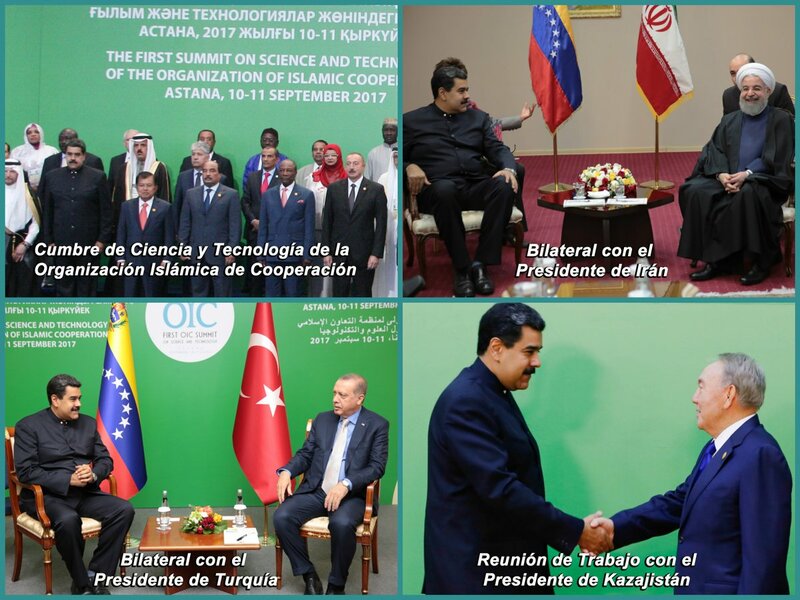 Venezuela`s Ambassador H.E. Victor R. Carazo, D.R. of Congo Information Minister, Mr. Sorin Preda- GENTLEMEN`S CORNER Director, European Council on Tourism and Trade President, European Council on Tourism and Trade Director Mr. Pavel Avramoiu and Mr. Mihai Prundianu- President of Romania-Japonia Business Council and Romania-Laos Business Council (from left to right). Recently GENTLEMEN`S CORNER has taken the limelight with the presentation on Romanian market of the stain resistant shirts, tailored from a special treated cotton, respecting all the European norms and in the meantime a special cotton, extra fine that is allowing the body to breath and enjoying in the same time special characteristics like remarkable stain and perspiration resistance. With the recognition brought by THE INTERNATIONAL QUALITY AWARD FOR FASHION, the tailors of elegance and charm from GENTLEMEN`S CORNER had proven that Romanian can rub shoulders with the most sought-after products from Europe and they can start in full confidence the journey towards global recognition of a Romanian style brand on the front of European fashion industry. In the opening ceremonies for the 2017 World Tourism Day Professor Dr. Anton Caragea has made the long-awaited announcement: The Global Ambassadors for Tourism and Sustainable Development Goals programme will continue in the next year and had expressed his support for the decision taken by THE PARLIAMENTARY ASSEMBLY FOR UNITED NATIONS SUSTAINABLE DEVELOPMENT GOALS (SDG) to continue upholding the efforts of promoting SDG as tools for international peace, development and inclusive and socially balanced growth. On October 4, 2017 the official ceremonies for WORLD TOURISM DAY have taken place at Institute of International Relations and Economic Cooperation in the presence of President Professor Dr. Anton Caragea and having in observance members of Institute of International Relations and Economic Cooperation, European Council on Tourism (ECTT) and Trade, European Tourism Academy and members of PARLIAMENTARY ASSEMBLY FOR UNITED NATIONS SUSTAINABLE DEVELOPMENT GOALS (SDG). In the opening ceremonies for the World Tourism Day, Professor Dr. Anton Caragea has made the long-awaited announcement: The Global Ambassadors for Tourism and Sustainable Development Goals programme will continue in the next year. 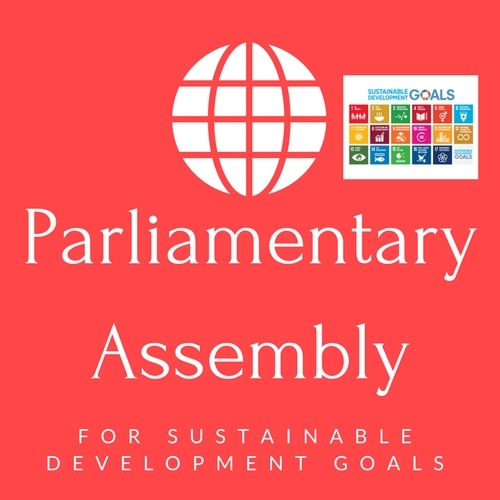 “If it comes to offer governance to Global Ambassadors for Tourism and Sustainable Development Goals programme and to insure global cooperation, than the Parliamentary Assembly for SDG`s is the venue for a technical and democratic debate, said Professor Dr. Anton Caragea. 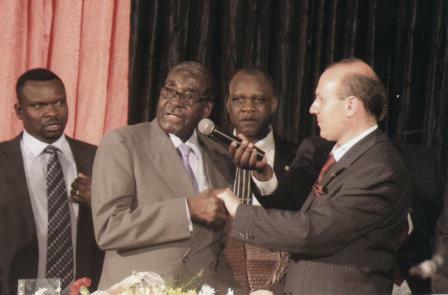 H.E.Professor Dr. Anton Caragea, MA, FINS, ETA at World Tourism Day 2012 with H.E. Prime Minister of Trinidad and Tobago-Mrs. Kamla Prashad Bishesar-President of the Commonwealth for 2012. Celebrated worldwide since 1980, World Tourism Day is commemorated usually at the end of September each year and hosted in the capital of the country crowned as WORLD BEST TOURIST DESTINATION OF THE YEAR. 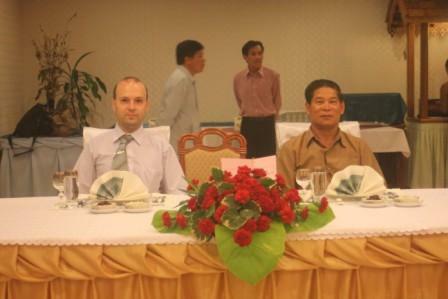 This year, the Official Celebrations are held in Phnom Penh , the capital city of Kingdom of Cambodia, winner of World Best Tourism Destination designation and in Bucharest on October 4, 2017 with the support of Institute of International Relations and Economic Cooperation of Romania. 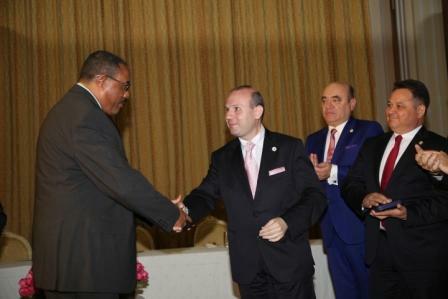 Tourism is the greatest educator in the world, stated on the topic the Institute of International Relations and Economic Cooperation President Dr. Anton Caragea. 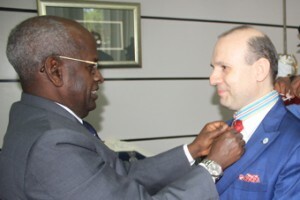 President of Institute of International Relations and Economic Cooperation, H.E. Professor Dr. Anton Caragea signs the WORLD TOURISM DAY 2018 logo and document: TOURISM AND CULTURAL PROTECTION! The Official Celebrations taking place in Bucharest are garnering world tourism leaders, industry entrepreneurs and researchers, Global Ambassadors for Tourism and Sustainable Development Goals among other key actors in the sector. 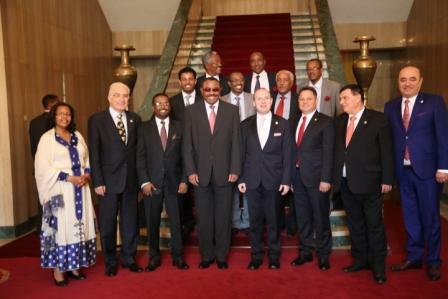 The event was opened by the President of Institute of International Relations and Economic Cooperation, H.E. 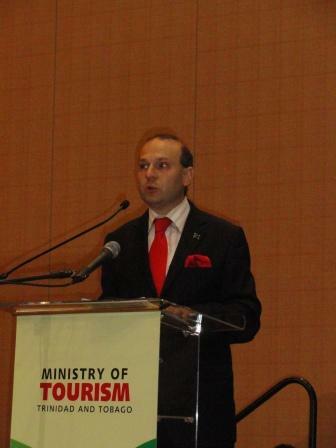 Professor Dr. Anton Caragea, who emphasized the cultural and heritage booster and promoter role of Tourism and the links of the sector with the United Nations 17 Sustainable Development Goals as well as the carry torch role of the Global Ambassadors for Tourism and Sustainable Development Goals in the global economic diversification and socially oriented growth. On this occasion H.E. Professor Dr. Anton Caragea – IRICE President announced that: Global Ambassadors for Tourism and Sustainable Development Goals project will continue unabated until 2030, the year marked by United Nations for the completion of the 17 Goals at world level. 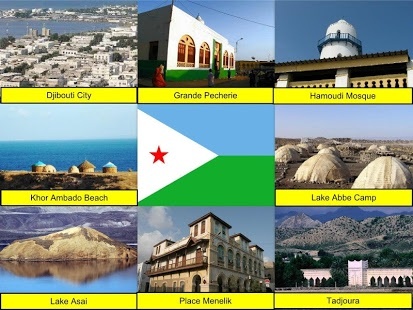 On this occasion was announced that 2018 World Tourism Day theme will be: TOURISM AS A CULTURAL PROTECTOR, emphasizing tourism role in promoting awareness for cultural and heritage patrimony , in boosting the resources allocated for their maintenance and preservation and in educating future generations on their role as guardian`s and custodians of these world treasures. On the fore of WORLD TOURISM DAY Academician Hun Sen, Prime Minister of Cambodia-Samdech Akka Moha Sena Padei Techo and President Professor Dr. Anton Caragea. 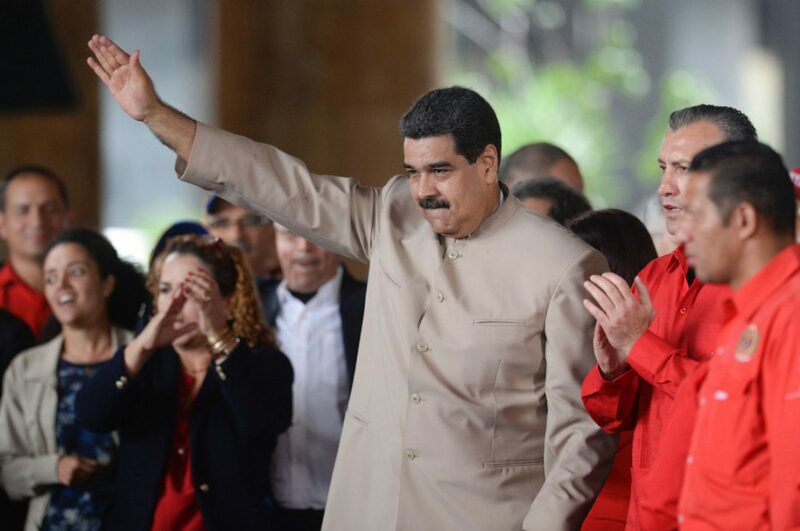 Due to the latest threat of military force by Donald Trump and the financial blockade imposed on Venezuela, the supremacist government of Washington has intensified the conflict, and has publicly expressed its intention to “choke” the Venezuelan economy.